Congresswoman Nita Lowey (D-N.Y.), Ranking Member on the House Appropriations Committee, kicked off National Small Business week with the introduction of the Small Business Credit Card Act (H.R. 5660), a measure to provide small-business owners the same consumer protections as individual credit card holders, by protecting small-business owners’ credit cards from unfair and deceptive practices of credit card companies. Rep. Lowey has been an outspoken proponent for ending many unscrupulous practices of the credit card industry as they impact individuals and small businesses, and NSBA is a long supporter of her proposal, dating back to its inception in 2013. 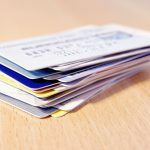 Although the credit cards of many—if not most—small-business owners are based on the individual owner’s personal credit history, the cards are exempt from the credit card reform legislation signed in 2009 by the president. This is due to the law amending the Truth in Lending Act (TILA), which for the most part applies only to “consumer” and not business credit cards. TILA defines a “consumer” as a “natural person who seeks or acquires goods, services, or money for personal, family, household use other than for the purchase of real property.” While a small-business owner who opens a personal credit card account and uses it occasionally for business should be covered under TILA, it is far from clear whether this law will protect a small-business owner who uses his/her card exclusively or even primarily for business purposes. As a result, many small-business owners are left unprotected against unfair and deceptive credit card practices such as double-cycle billing and universal defaults on small-business cards. According to NSBA survey results, 27 percent of small businesses say they cannot access adequate financing and are being pushed into using credit cards to meet capital needs but only 31 percent say those credit cards meet their capital needs. In comparison, in 1993 only 16 percent of small businesses used credit cards as a source of financing. The average interest rate charged on small business credit cards is 14.16 percent. require any payment over the minimum apply to the balance with the highest interest rate. One-in-three small-business owners look to credit cards as a critical source of financing, yet these cards typically are not protected against the most unfair and deceptive credit card practices. NSBA applauds Congresswoman Lowey for her continued advocacy on this issue and is pleased that H.R. 5660 addresses this key deficiency by extending critical protections to small businesses that use business credit cards or personal credit cards to finance their businesses, prevent layoffs and encourage growth. 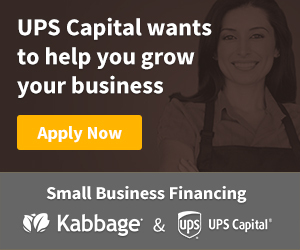 America’s economy is dependent on a thriving small-business community and small-business owners increasingly are reliant on credit cards, which are one of the most common sources of financing for America’s entrepreneurs.